“Something very big is going on in the Middle East. This is not about an inflammatory film or a political assassination in Libya. Rather, recent events confirm that throughout the Muslim world, radical Islam is on the march. The radical Muslims have figured out a much better strategy than the Al Qaeda strategy of the past decade. Instead of terrorist acts aimed at directly wounding the “far enemy,” namely the United States, Islamic radicals are using democracy and public protest to defeat the “near enemy,” namely their own autocratic governments, and seize power. Remarkably President Obama seems to be responding in a way that helps the Islamic radicals, and the vital question is why. “To understand Obama, we need to back up and observe his Middle East policy since he took office in early 2009. There is a weird double standard in the way that President Obama has been acting in region. In Libya, he used force to prevent “genocide” but he has refused to use force to prevent much greater genocide in Syria. What makes Obama’s conduct especially odd is that he undertook Libyan military intervention after a civil struggle in which Muammar Qaddafi had killed around 250 people. In Syria, however, tens of thousands have been killed by the regime and still Obama refuses to use direct military force. Iranian-born Valerie Jarrett serves as Obama’s senior adviser. Her ‘fingerprints’ are on all White House scandals from Benghazi to IRS persecutions of Conservatives. “A similar inconsistency defines Obama’s actions in Egypt and Iran. In Egypt, Obama used diplomatic pressure to oust the Egyptian dictator Hosni Mubarak, clearing the way for the Islamic radicals, led by the Muslim Brotherhood, to win the subsequent parliamentary and presidential elections. Using the rhetoric of democracy, Obama allied himself in Egypt with the democracy protesters. Yet when there were equally massive demonstrations in Iran a year and a half earlier, aimed at ousting the regime of the mullahs, Obama urged caution and restraint. He refused to embrace the protesters. Essentially he did nothing. Eventually the Iranian police crushed the uprising and the Iranian rebellion dissolved. 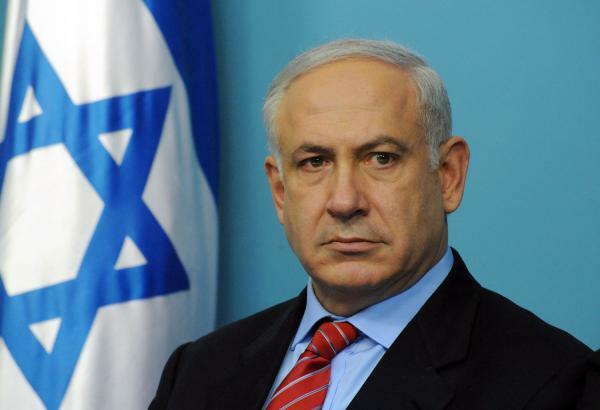 Benjamin “Bibi” Netanyahu: 17th Israeli PM, warrior, diplomat, politician, born in Tel Aviv, raised in Jerusalem, educated in the USA, friend to the USA, honored by Americans coast to coast. We now know we can’t defeat evil through elections. Therefore, we must call on the God of Abraham, Isaac and Jacob, the God of the Bible, Creator of all that is, our Heavenly Father, Jehovah Shalom, to save Israel and, by extension, to save our own country. Profound evil is at work within U.S. federal governance.